Bomb It games are entertaining so you can play them over and over without getting tired of them. 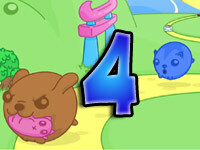 The cute graphics that are appealing to the eye and the fun sound make them interesting to players of all ages. The best part is that they can be played for free. They are available on different game websites without a cost. There are 4 Bomb It games that you can play. Start with the first installment so you can learn the basics of the game. The game play is generally the same for all of them except that there are more options and features on the succeeding sequels. 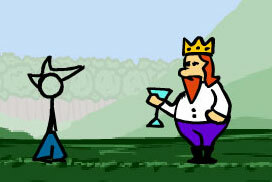 This is the first installment of the game series. There are 4 character to choose from, which are 4 colored robots. Choose if you want to play as the pink, yellow, green or blue robot. You will get this option when you start playing the game. You also have the option to play on your own or let a friend play with you, as 2 player mode is available. Choose the difficulty level of your game from easy, normal and hard. If you are just starting, go for the easy level. You have 3 minutes to play each level of the game. The main goal is to kill the enemies using your bombs. This is the goal with the other sequels. However, the difference is that there are additional goals on the other installments that you need to achieve to win the games. When you plant bombs, make sure to move fast away from them as you can get killed. Get the power ups that will show up to make it easier for you to attain your goal. The game controls are the same. 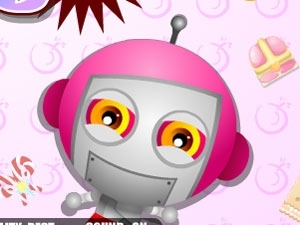 But the pink robot character is replaced by a yellow haired girl with pink clothes. There are four modes to choose in this installment. 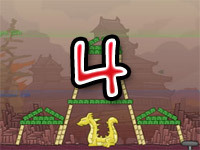 They are the Arcade mode, Weapons Only mode, Collect the Coins mode and Color the Tiles mode. The Arcade mode is like the first installment in which you need to kill the enemies to win each level. The Weapons Only mode will still require you to kill the opponents using the weapons that you will see around. For the Collect the Coins mode, collect the coins that appear on the game while aiming to kill your enemies. For the Color the Tiles mode, the tiles that you pass will change to your color. The first player to get 50 titles colored win. This installment has cooler characters, as they are teenage human. There are different game modes for this sequel. The Arcade mode is the same as the second installment in which you need to kill all enemies. The Battle Royale requires killing at least 10 enemies. Watermania requires pushing 10 sheep or enemies off the map. For the Race mode, you need to finish 3 laps first to win. 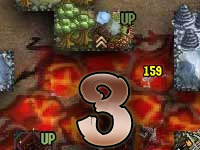 You also have the option to choose the number of players, enemies, levels, arena and difficulty. This has 4 game modes, which are Arcade, Battle Royale, Coin Collector and Tile Tag. Like the previous installment, you can choose the number of players, enemies, levels, arena and difficulty. But this is more fun as you can choose among 6 characters that you can dress up to your preference. However, you need to have specific points before you can use certain clothes. So if you want your character to look even better, aim for higher points. You will be given the option to dress up your character after completing every level.